Officially licensed from the Boy Scouts of America. This handsome gift set includes a pocket knife with the Boy Scout emblem and the slogan "Prepared for Life" engraved on the handle. 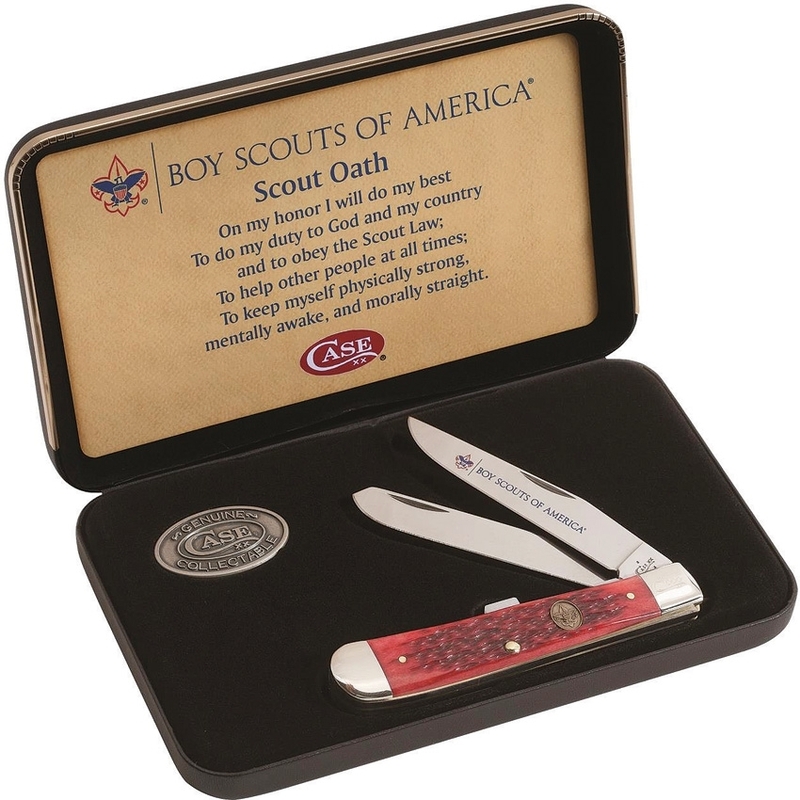 Plus, it includes a Boy Scout medallion with blue background and the Case medallion. The knife features three cutting blades with a handle and nickel bolsters. The pocket clip adds the finishing touch easy carrying. Additional engraving featuring your scout's name can be engraved on the main blade. The entire set packs neatly into a black gift box.